Copies properties of multiple Mail messages. 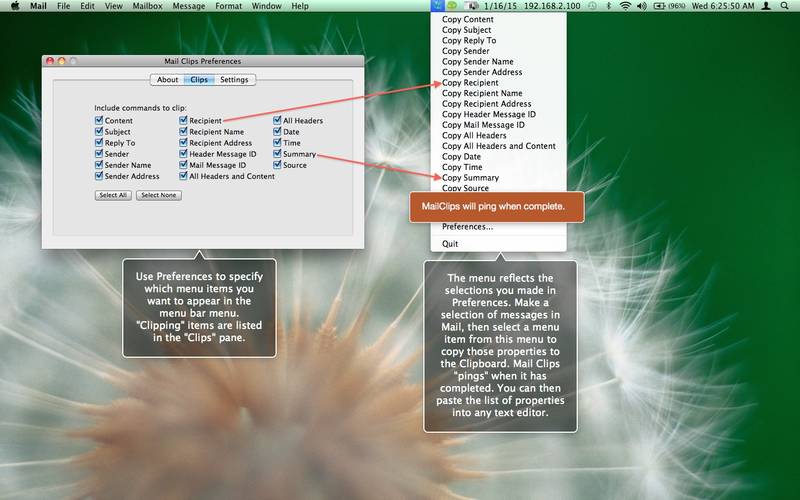 Mail Clips is a menu bar app for copying Mail.app message properties of all selected messages to the clipboard. Copy all headers, subjects, recipients, senders, content and more from each selected Mail.app message to the clipboard as a list of values to import into another app.